Preventing injuries during the active fall school season. – Playworks Physiotherapy. Because Play, Works. At this time of year, your kids most likely just started their sporting season. During these busy times of practices, we often see athletes coming in with all kinds of injuries. Injuries can happen for many reasons, however there are ways to prevent them! This blog post will introduce you to pre-habilitation, and how attending physiotherapy can be beneficial! When kids grow, their bones lengthen first and then their muscles need to lengthen as well. If muscle length is not addressed it could lead to muscle strains, especially with lots of activity and training. 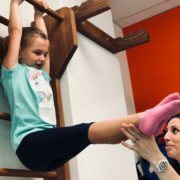 Addressing muscle imbalances ensures that your child will be moving optimally and prevent injuries that result from poor mechanics, alignment and muscle strains due to lack of strength. Physiotherapy can treat minor issues so they do not progress into more serious problems. Catching little aches and pains at the beginning of the season gives your child an opportunity to rehab earlier in the season and limit the time missed during the regular season. I have been treating a young dancer who dances 12-15 hours per week. Her mother wanted her to learn more about how her body moves and its’ limitations. She noticed how hard her daughter was pushed at dance and wanted her to learn proper techniques to prevent pain and injuries. My patient was also complaining of slight heel pain during the initial assessment. I determined that the heel pain was most likely an early start of Sever’s Disease. I had found that one of her calf muscles was over-working for her hip muscles. After one week of treatment and home exercises, the heel pain had resolved. If the heel pain had been left unattended it would have worsened and she most likely would have had to take several weeks off to recover. We also have been working on proper form for various stretches – core strength and leg strength – that are commonly performed in the dance class. This parent was proactive and helped fixed an early issue before it became a problem! Her daughter is also learning how to stretch and strengthen her body safely, to help her excel in dance for the remainder of the season. http://playworksphysio.com/wp-content/uploads/2018/12/fall-activities-injury-prevention.jpg 321 845 Maegan Mak http://playworksphysio.com/wp-content/uploads/2018/03/playworks-logo-blue.png Maegan Mak2018-12-03 21:15:352018-12-03 21:17:38Preventing injuries during the active fall school season. Concussion Baseline Testing. What is it? 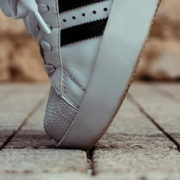 Why do some kids walk on their tip-toes?